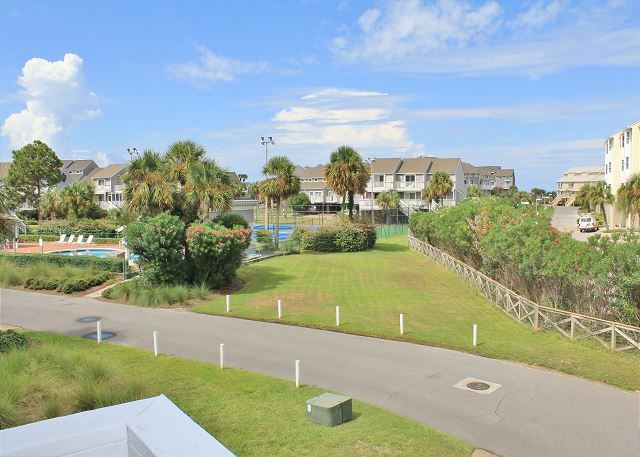 Very nice 3 bedroom, 3 bath townhome in the popular gated community, Barrier Dunes. This 1369 sq. 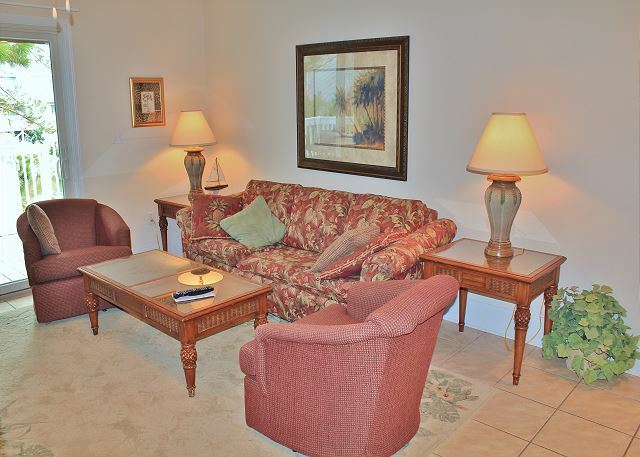 foot unit is located across from the interior side pool and near the tennis courts for easy access. 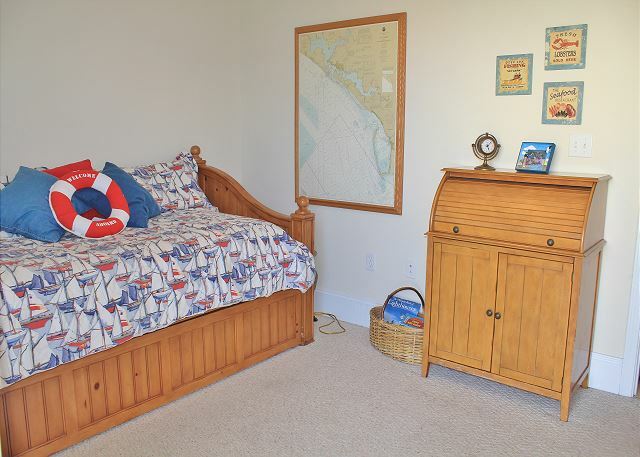 Each of the upstairs bedrooms feature cable TV, and the living area comes complete with cable TV/VCR/DVD. 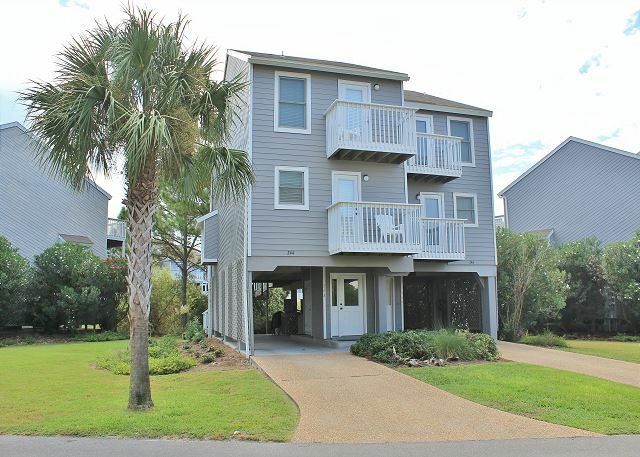 A fully equipped kitchen, washer/dryer, outside shower-this beauty has it all! 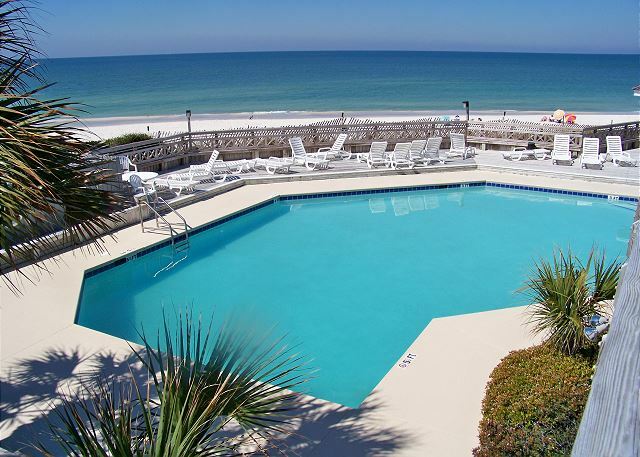 Easy beach access throughout the complex. 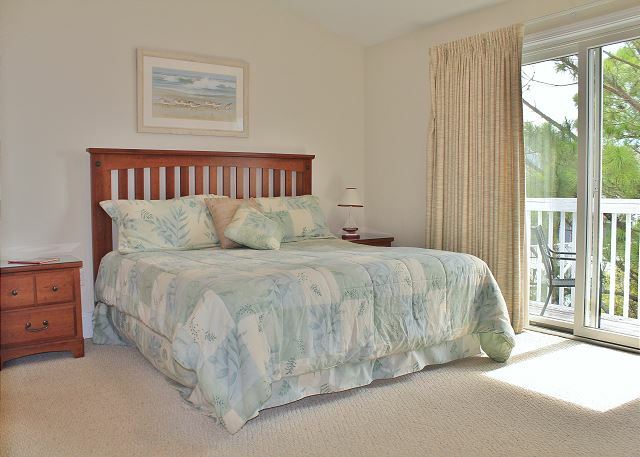 The main living level features one bedroom (daybed) and a hall bath. The upper level features 2 bedrooms each with a private bath. Located just outside the gates of St. Joseph State Park. VERY NICELY FURNISHED!